At least four Palestinians, including Minister Waleed Assaf, were injured by rubber-coated rounds, on Friday, while several others suffocated from teargas, when Israeli forces attacked the weekly protest in the village of Kafr Qaddoum, in the northern occupied West Bank, according to local WAFA sources. 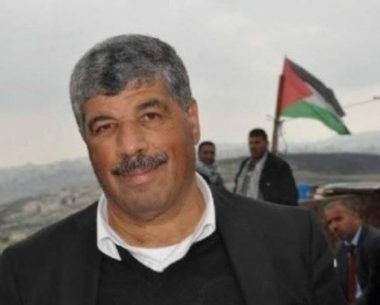 Morad Shtewi, coordinator of the popular resistance in the village, said that Israeli soldiers fired rubber-coated rounds and teargas canisters towards the protesters, injuring Minister Waleed Assaf, chairman of the Commission Against Settlements and the Wall, in addition to three others. Other protesters also suffocated from teargas inhalation. Almost every Friday, Palestinians have been organizing weekly protests, in the village of Kafr Qaddoum, to demonstrate against Israel’s continuing closure of the village’s main street, as well against the increasing Israeli settlement activities.